On the flip side of the smart phone is a world where discovery is reality, rather than something virtual. It’s our Martis Camp Folk School, a place designed to engage your family in activities that embrace simplicity and creativity. With highly qualified instructors from across the country, the Folk School offers classes embracing the mantra “Living To Learn” — from jewelry making and fly fishing to photography and wood carving. 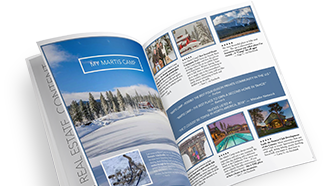 Another great place for families and friends to share meaningful experiences in a laid-back environment, the highly popular Folk School is another way Martis Camp redefines the Tahoe experience for families. Call us today at 1-800-721-9005 to discover how the Folk School and our other engaging lifestyle amenities have created a truly unsurpassed Tahoe experience at Martis Camp.